The valley at Aberdar looks quite flat from a distance but the road going up the mountain as we went to Treorci was steep and very winding. On a clear day the view is of the Brecon Beacons miles away in the distance. 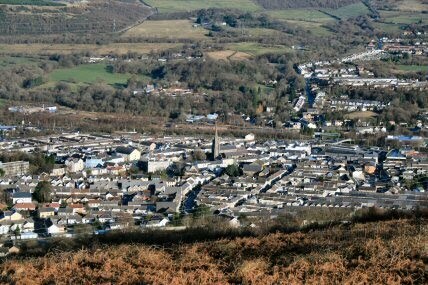 The town of Aberdar is typically Welsh is style and the tallest thing you can see is the church which dominates the area. 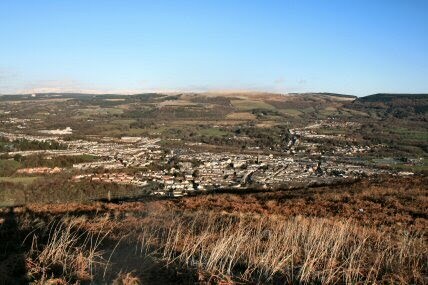 Over the mountain via Maerdy and towards Treorci is another country to locals. As with places in England there tends to be a natural inclination to move in a certain direction along the roads. England the key is the local market towns. 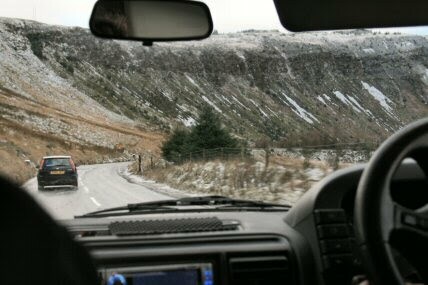 Here in Wales the route taken is up and down the valley. I have been told that you can distinguish the valley that people come from by their accent they are that isolated from the neighbouring valley. Virtually all the high points seen in this pic are over 1000 feet. On the way back is a view that gets one rock hammer hand itching. Plenty of hard rock geology here and right on the surface. 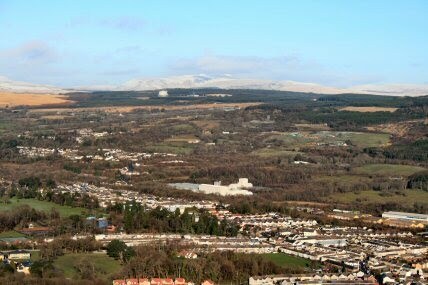 In the distance can be seen the Brecon Beacons all covered with snow. 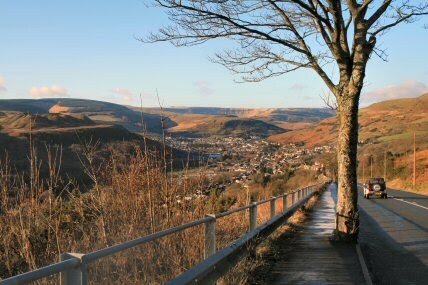 The valleys are much greener these days with the coke works down the valley having shut down and the last of the pits closing recently.